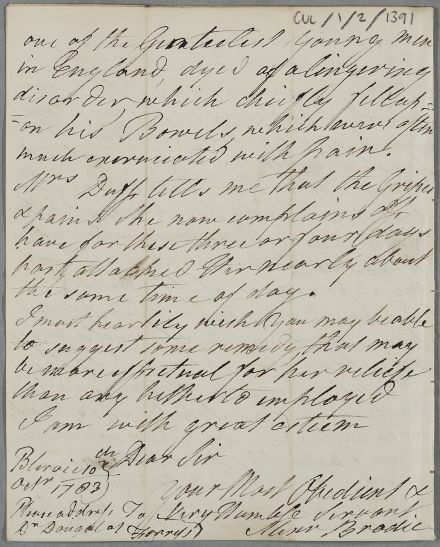 Letter from Alexander Brodie, concerning the case of the wife of Major Duff. 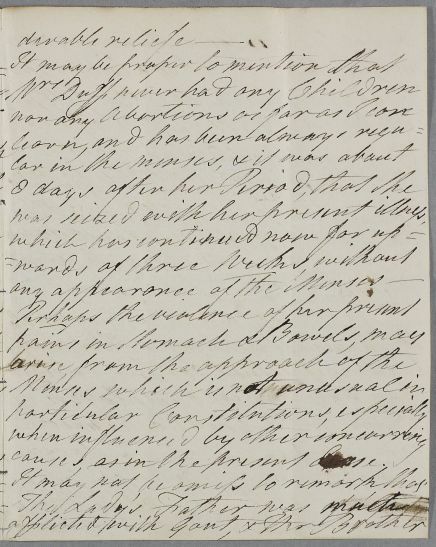 He mentions that Dr Dougal of Forres has also written to Cullen about the case. 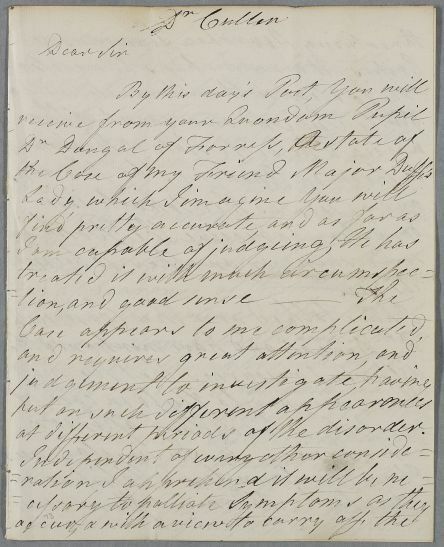 Summary Letter from Alexander Brodie, concerning the case of the wife of Major Duff. 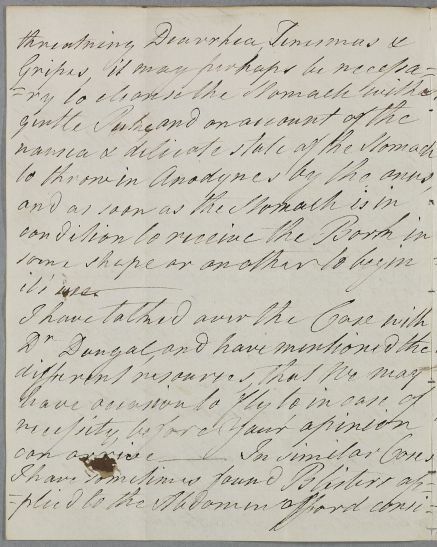 He mentions that Dr Dougal of Forres has also written to Cullen about the case. Case of Mrs Duff who has a feverish condition with shooting pains which Cullen thinks may stem from a kidney disorder. at different periods of the disorder. causes, as in the present Case. the same time of day.